Creativity coaching is offered at the same rate as private music lessons. Within both of these frameworks, I emphasize positive approaches, such as welcoming our creativity, exercising non-judgment, and celebrating the gains that come from practicing. Other pricing packages can be arranged, please ask! We all have the potential to shine brightly. We all have a gift. We are all creative in so many ways. singers, artists, poets, and everyone who feels ready to fullfill their greatest potential. "Dave was a wonderful and kind teacher for my two daughters. He was exceptionally flexible and encouraging of their own innate interest in music. "David Rosenfeld is a masterful teacher who brings out the best in me musically. I deeply enjoy Dave's company as a highlight of my week. as a composer and performer on multiple instruments, and the joy he brings to his music and teaching." 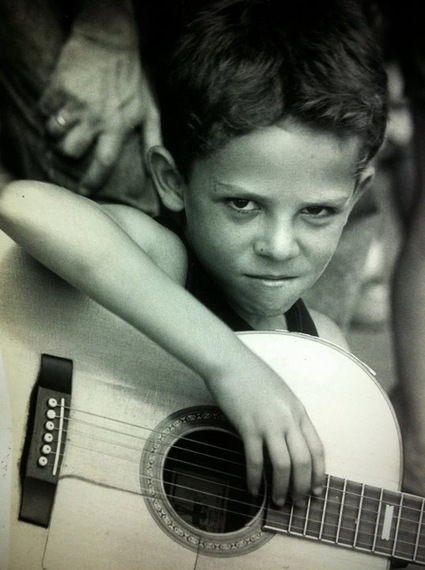 - Jason R.
Guitar student, Daniel R., when he was a boy.